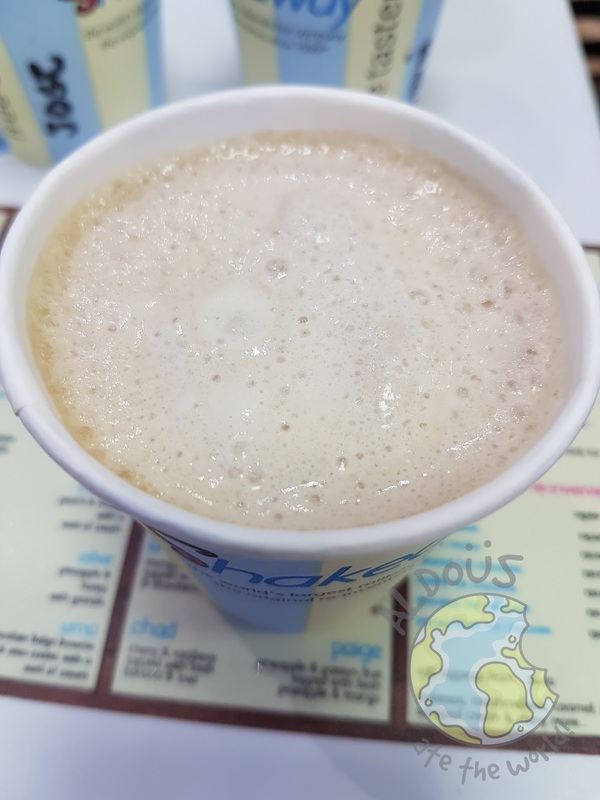 In a place that has milkshake written all over it, I was surprised to see the enormous number of milkshake choices Shakeaway has. 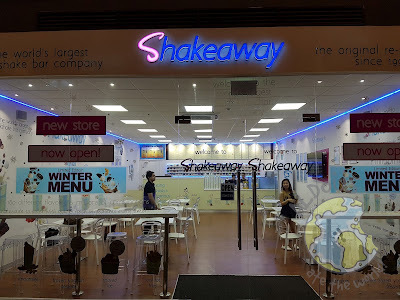 It turns out their original store was put up in the UK so we must be lucky to have the world's largest milkshake bar right here in UP Town Center. To start the night off, we got samples of Max and it is VERY far from the fried chicken we are all used to. Its got chocolatey goodness with chocolate fudge brownie & chocolate filled mint candy with milk chocolate chips on top. 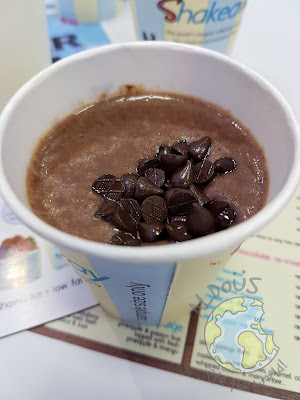 It is a sweet treat that chocolate lovers would love. I'm actually not a chocolate lover but I still loved it as each ingredient played a part to its extraordinary taste. In a Filipino tradition, this milkshake has all the local flavors we have all grown to love. It has ube & macapuno with pinipig on top. Its taste is definitely far from what Manong Sorbetes would serve as it is in a league of its own. For those who are watching their weight, they have frozen yoghurt desserts too. 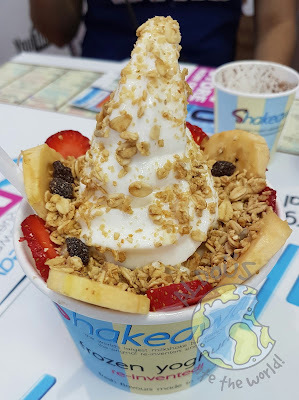 Izzie is the rightful name for this yoghurt that has banana & strawberries with granola. Why? Uhm, just dig in and you will find out for yourself. Fruits and yoghurt together have never tasted this good. Believe it or not, they also have hot milkshakes. Check out the premium chocolates on this baby. 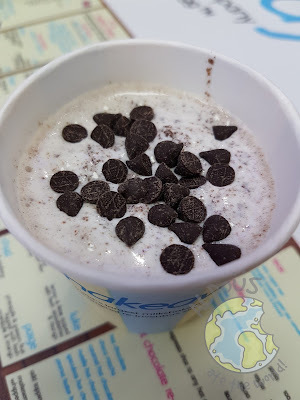 I highly recommend their hot chocolate milkshakes to start the day off while having breakfast. I never thought Sprite would become such a good soda for a milkshake version but it did. It is one milkshake that would make you forget all about your diet. But wait, there's a LOT more! 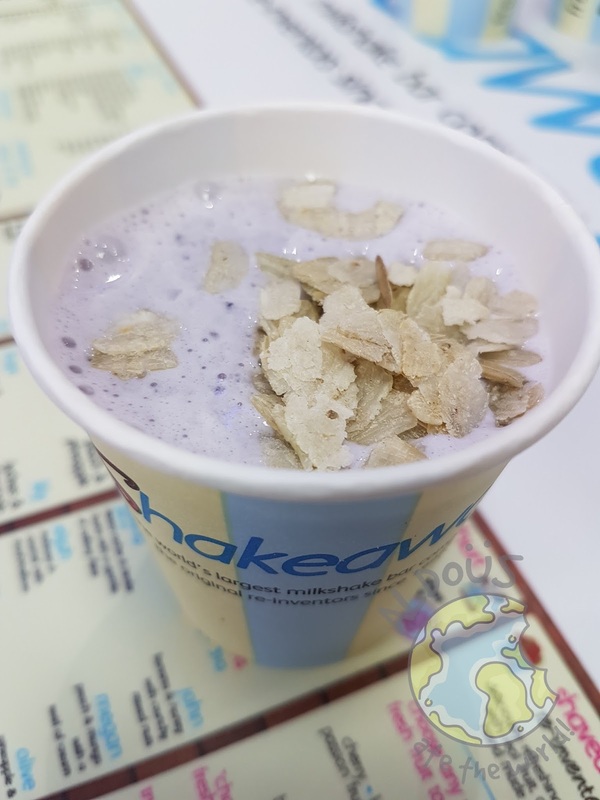 Head over to Shakeaway now and stare in awe at their HUGE selection of milkshakes like the millionaire's milkshake and wicked wendy.